Note: This is intended for people with a intermediate level of knowledge of building computer systems and networking. Your WiFi router security isn’t going to cut it. Most wireless routers perform basic protection of your internal network, and don’t perform advanced functions such as intrusion prevention and anti-malware. You also might want to create very specific rules about what is allowed to talk to what. If you have hot crypto wallets running 24×7, you are potentially a target and should think about beefing up your network security. Build yourself an enterprise grade UTM (Unified Threat Management) firewall with FREE software and inexpensive hardware. My entire build was about $250 which I have been running for several months. It is the same exact software enterprises use. I have professionally installed these firewalls at small and medium sized businesses. I use the VPN functionality to access my home network from across the globe. The only difference from the enterprise version is it supports up to 50 IP addresses, which is more than enough for the average home user. The interface is easier to use and more intuitive than other vendors I have seen. Again, this is free software. You just need to register, download the bootable image file, create a bootable CD or thumbdrive, and then install on your appliance from that. You will need to install your new firewall software on some hardware. You could use an old PC, but it’s unlikely your PC has two network interface cards, and PCs tend to have moving parts like fans and hard drives. My recommendation is to purchase a small appliance with dual network interfaces. For my latest home deployment, I used the following hardware. -This little appliance is fanless, and combine that with an SSD drive, has no moving parts. -It has a dual core Celeron, more than enough for running a firewall. 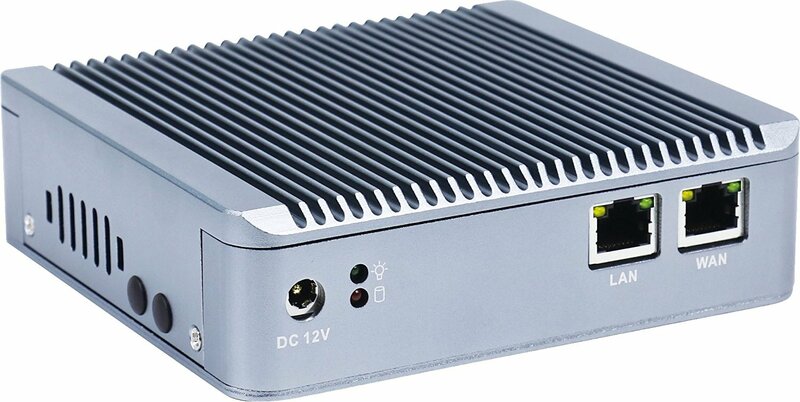 -It has dual network interface cards (NICs), one to face your inside network, and one to face your ISPs modem. 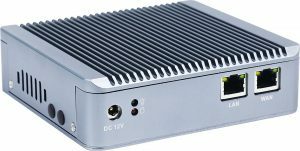 -It’s compact and won’t look out of place next to your modem and wireless AP. -32 GB is enough to run the Sophos firewall. If you want to do a lot of logging or packet capture then you might want more. Change to bridge mode to avoid double-NAT. Double NAT can cause issues with some applications. You can also purchase Sophos branded access points which can be controlled from the firewall itself. Consider purchasing a UPS to run your new firewall off of. A UPS provides a multiple benefits. -Protects your device from temporary power outages and power fluctuations, which can damage components and decrease their lifespan. I chose the following because it’s relatively small and provides about 45 minutes of uptime. If you are interested in deploying a real firewall at your home or small business, and don’t know where to get started, I can provide consulting services to get you on the right track. Previous Americans with Significant Foreign Crypto Exchange Holdings, Don’t Get Blindsided!